Well looky here! A new blog post. I realize that I have not been posting here very often , but I am preparing to lead a six-week small group study of The Day the Revolution Began by N.T. (Tom) Wright and I had some thoughts to share. By the way, I am writing once a month for Missio Alliance, so if you are interested you, can follow me there. I am looking forward to leading people through Tom Wright’s new book on the cross. Lent is the perfect season to focus on the cross and, beyond the timing of our study, I believe Tom’s book on the cross is a game changer. I believe it will revolutionize our view of soteriology the way Surprised by Hope revolutionized our view of eschatology. I am not recording our small group study which begins tomorrow night, but I will post my notes on this blog, much like I did when I led a group of people through Paul and the Faithfulness of God. I called that small group “N.T. Wright and the Faithfulness of Paul” and it turned into a 100–page book that has humbled me with how it has helped so many people. This small group study will be called “N.T. Wright and the Revolutionary Cross” and I will post notes on this blog over the next six weeks. And maybe, just maybe I will turn it into a reader’s guide. We shall see. As I was preparing my small group study, I began to realize the significance of Tom’s ministry. (I do call him “Tom,” because not only is he my theological mentor…and bishop!…I consider him a friend, even if we have only exchanged a few emails over the last couple years.) I do not believe there is another theological voice that is more widely heard than Tom Wright. I have friends from lots of different traditions and denominations and I can say quite confidently that no one else writing and lecturing in New Testament studies has more of a predominate voice than Tom. The emergence of N.T. Wright Online has expanded Tom’s influence, giving him an even broader audience access to his teaching. What excites me more than anything is that I believe he is saving evangelicalism and his timing could not be better. Today the term “evangelical” refers to a voting block in the United States, determined by a very select few issues in the very present “culture wars.” For many evangelicals the title has become polluted and vandalized to the point that many do not want to be labeled “evangelical.” Fine with me. Don’t call yourself an evangelical if you don’t want to, but for those of us who have found a theological and ecclesiastical home in evangelicalism, let’s not throw away our evangelical heritage with values rooted in personal conversion, a high view of Scripture, and the necessity of mission. Many of us who have a theological perspective shaped by Tom Wright have been called “post-evangelicals,” but such a designation is not helpful. This label attempts to define what we have left behind, but doesn’t define who we are. Furthermore “post-evangelicalism” has many different expressions including progressives, neo-sacramentalists, neo-Anabaptists, etc. These Christian expressions have cross pollinated and have left outsiders confused. It is not so much that we have left evangelicalism behind, rather we have left behind sectarian fundamentalism, biblicism, and the “religious right,” three ideologies that have overtaken popular expressions of evangelicalism. Indeed these three ideologies are killing us. Biblicism turned our high view of Scripture into the impossible task of forcing the beauty of Scripture into a compressed flat text of points and principles. The “religious right” hijacked our mission and led us in the way of constantinism, the faulty attempt to change the world through legislation and partisan politics. Evangelicalism is sick and in need of a doctor. I believe Tom Wright may be exactly what we need. Maybe he is saving evangelism or maybe as Alan Bean argues, he is saving Christianity. 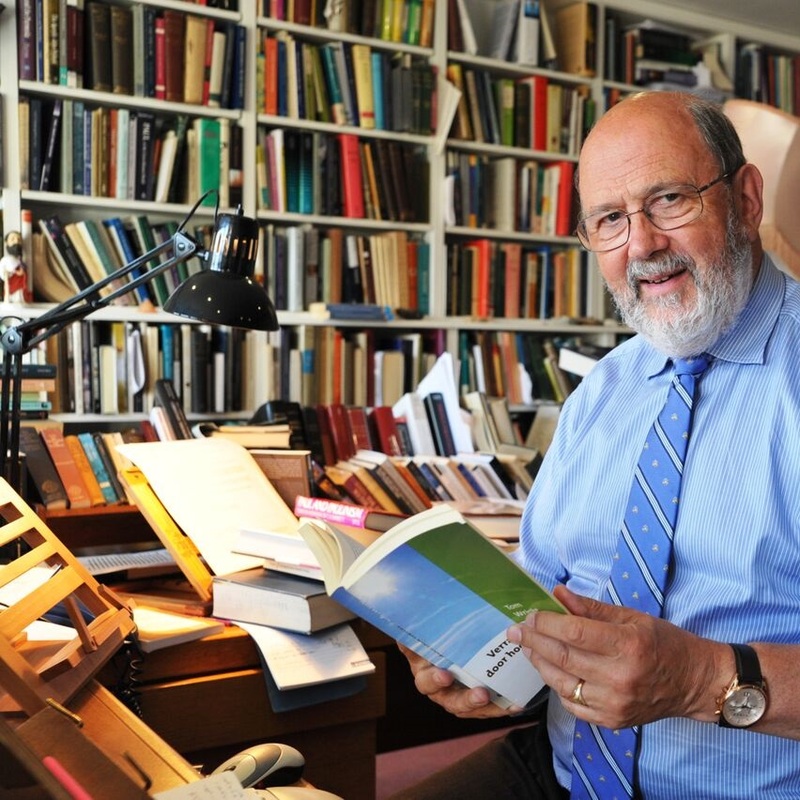 So how is Tom Wright saving Evangelicalism? Wright has given us a better eschatology. We have suffered too long with a shrunken view of salvation whereby we have wrongly assumed Jesus came to save us in order to take us to heaven when we die. Over the years I have challenged people to show me in the New Testament where Jesus or the Apostles clearly taught such a thing. I have searched and it is simply not there. The thief on the cross was promised to be with Jesus in paradise. Jesus said in his Father’s house there are many mansions. He said he will go and prepare a place for us and we will be with him when he comes again. Lazarus was taken to “Abraham’s bosom,” and Paul mentions to be absent from the body is to be present with the Lord. I may have missed a few, but these are the brief references to an experience of what we call “life after death,” but what Wright has shown us is that the overwhelming emphasis in the the New Testament is that Jesus came to offer us new life, eternal life, the life of the age to come, which is life after life after death. This new life is a part of God’s new creation project which is not about taking people from heaven to earth, but about bringing heaven to earth whereby heaven and earth will be conjoined once again. Once we adopt this much more biblical view of the end, the rest of our theology begins to change because eschatology is not the caboose at the end of the train. It is the theological engine that drives the entire enterprise. Wright has given us a more coherent way to read the story of Scripture. God has created the world and all that is within it. He created human beings to reflect his image into his world and reflect back creation’s praise to its creator. Humanity failed to be God’s image-bearers and thus failed to care for God’s good world. The corruption of sin in the forms of idolatry and injustice entered and marred all of creation. God did not give up on his creation project, but sought to set right a world gone wrong beginning with a covenant God made with Abraham. The children of Abraham became Israel, the people of God. They were given the Law to form them into a people of worship and justice, but they too fell under the corruption of idolatry. Jesus came as Israel’s Messiah to bring Israel’s story to full completion. Jesus dies for our sins and is raised from the dead to offer new life to those who would repent and believe this good news. The gathering of those who follow Jesus stand within the broken world as the people of new creation, awaiting the appearing of King Jesus who will come to complete the new creation project. Wright has given us a better way to read Paul. The Apostle Paul has been read and interpreted in various ways since the Protestant Reformation. Often Paul has been read in a way disconnected from Jesus and disconnected from the story of Israel. Wright has given evangelicals a tremendous gift in giving us a reading of Paul’s epistles that is connected both to Jesus and Israel. Paul was first and foremost a Jewish thinker who wrote using Jewish language, Jewish metaphors, and most importantly Jewish Scripture. When we come across Paul writing about justification, works of the law, righteousness, and other theological terms critical to evangelical theology, we interpret them not in the context of the anxieties and issues of the 16th century, but within their covenant Jewish context. Justification by faith is not so much a right standing with God as it is God’s act of declaring us to be withing God’s righteous covenant family. The larger thing happening in Wright’s interpretation of Paul is that he is connecting together history with theology. All theology is biblical theology and all good biblical theology is historical theology. Wright’s better way of reading Paul has taken us to the triple peaks of monotheism, eschatology, and election, rooting election-language not in the fatalism of a God who predetermines who is saved and who is damned, but a God who gathers a group of people to bring light and salvation to the world. Wright has brought together the academy and the church. When I was a seminary student at Oral Roberts University in the mid 1990s, the world of academic theology opened up a new world to me and I could not read fast enough to absorb everything I wanted to explore. I spent countless afternoons in the office of Dr. Dorries, our church history professor, wrestling with God’s call for my vocational life. I entered seminary with a desire to enter church ministry as an evangelist or pastor, but my first taste of theology had me thinking about a career as a scholar. Dr. Dorries did his Ph.D. work at the University of Aberdeen and he helped me think through post-graduate studies. At one point I declared a double major, adding a M.A. in Historical Theology, to prepare for Ph.D. studies, but soon after I dropped the second degree. As much as I love the work of the academy, I knew my calling was to serve the church. Wright, as much as any scholar working in the area of New Testament studies, has been able to bring together the academy and the church. He has been able to lecture and write, teach and preach, in both the lecture halls of the some of the most elite universities in the world and in parishes and local churches in the UK and the US. He writes and speaks with the mind of a scholar and the heart of the pastor reminding us we need both. We need scholars and pastors and the academy needs the church, just as much as the church needs the academy. Wright has given us a renewed vision of the cross of Christ. Throughout his career Tom has gone back and forth from Paul to Jesus and back to Paul. He started with Paul. His Ph.D. was focused on Romans. He has written extensively on the historical Jesus. For me How God Became King maybe his most significant book in that regard, while other may look to The Challenge of Jesus or Simply Jesus. He spent longer than we all expected to finish up Paul and The Faithfulness of God, which people are still trying to digest. And now he has turned his attention to the cross in his latest work How the Revolution Began. He has been dodging the subject of atonement theories for years. I remember reading Trevin Wax’s 2007 blog post “Don’t Tell Me N.T. Wright Denies Penal Substitution,” when I was working on understanding atonement theories myself. Finally Wright has answer the question of atonement is this stunning new book. I believe the cross is central to an evangelical vision of church life and mission and I believe Wright’s vision of the cross will help us move forward from stale fundamentalism into a new era of evangelical life where we know nothing except Christ crucified. So what does Wright think about the cross? Follow my blog posts over the next six weeks for a summary of his fascinating book. Thanks to Ben Mulford for carefully proofreading the first draft of this blog.